Home Musicians Who Are The Backstreet Boys Members, Where Are They Now? When it comes to music, collaboration is an essential part of the process. While for the majority of musicians, that collaboration exists in the form of the singer and instrumentalists or producers, there are those whose collaboration involves vocal contributions. However, for genres like pop and R&B where a lone singer is a norm, there have been a few musical groups, of men and women who combine their vocal talents to create music. One of them is the Backstreet Boys, a vocal group that was formed in the iconic state of Florida. The group has provided some of the best pop songs in music in the past couple of decades since their creation and have had a Hollywood Walk of Fame star erected in their name for their contribution to the art. Learn more about the Backstreet Boys and its members by reading below. Through fate and chance, five men came together and formed one of the greatest male groups in music history. The group which has its official anniversary date as April 20, 1993, began with Howie Dorough and AJ McLean, two men who happened to live in Orlando, Florida. The two had a passion for singing and decided to form a group as singers. Realizing the need to add members to their group, the duo put out an audition and eventually met the third member to join the group, Nick Carter. Through fate, Kevin Richardson, who himself was a passionate singer who worked as a staff of Walt Disney World during the day and wrote/recorded music at night met the trio through a co-worker who knew of his musical talent. After their meeting, the group became four. 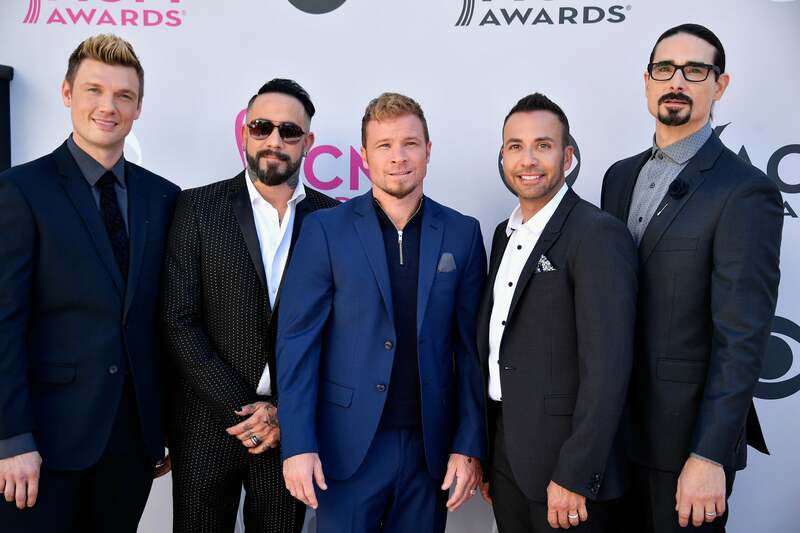 A family connection brought Brian Littrell into the group to complete what would be known around the world as the Backstreet Boys. The group was named by Lou Pearlman, the group’s music producer after Orlando’s Backstreet Market, a flea market in Florida. Since their first performance at SeaWorld Orlando on May 8, 1993, releasing their first single We’ve Got It Goin On in August 1995 and their first album in April 1996, the group has grown to become one of the iconic boy bands to come out of the 90s. They have released ten albums including their debut album, Backstreet Boys and their most recent album, DNA in 2019. With each music project, the group has received several awards including eight Grammy nominations, two American Music Awards, seven Billboard Music Awards and two MTV Video Music Awards, among many others. One of the originators of the group, AJ McLean was born on the 9th of January 1978 in West Palm Beach, Florida. He is an American and apart from being a singer and songwriter, he is also a dancer and model. He is currently married to Rochelle Karidis in a marriage that began in 2011. The couple currently has two children – two daughters named Ava Jaymes and Lyric Dean. The second Floridan in the group, Howie Dorough was born on the 22nd of August 1973. He started singing at the age of six and hasn’t stopped ever since. Howie is a singer, an actor and a songwriter. He and AJ McLean are two of the originators of the Backstreet Boys. He is married to Leigh Boniello and has two children named James Hoke and Holden John. The first outsider to join the group, Nick was recruited into what would become Backstreet Boys after an audition. He has remained a member of the group ever since. He comes from a family of singers, as an older brother of Aaron Carter and Leslie Carter. Nick is also an actor with a couple of reality shows under his belt. He got married to Lauren Kitt in 2014 and the couple has one child. He was introduced and enjoined to become a Backstreet Boy in 1993 by Kevin Richardson and he has remained one ever since. Apart from his career as a Backstreet Boy, Brain Littrell is also a solo artist who has an album and five top 20 singles on the US Christian Music Chart. He was born on the 20th of February 1975 and he is married to Leighanne Wallace. The couple has two children – Wylee Littrell and Baylee Thomas. Kevin Richardson is the only Backstreet Boy to ever leave the nest. He was instrumental to the completion of the group by bringing in Brian Littrell but he was guilty of leaving the group in 2006 until he returned to open arms in 2012. He is a Hall of Famer in the Kentucky Music Hall of Fame and is married to a woman named Kristin Willits whom he was hitched with in 2000. He also two children – Mason Frey and Maxwell Haze. With the exception of Kevin Richardson who left the group in 2006 and returned in 2012, every single member of the group has been together since the group’s existence. The group continues to release music and go on tours around the world in promotion of their music and connecting with the fans. Most recently, the group released an album titled DNA in 2019 and are scheduled to go on a World Tour in the promotion of the album.